Ok, so the sweater doesn’t actually fit (it’s just a touch too small), but here it is! Don’t worry. 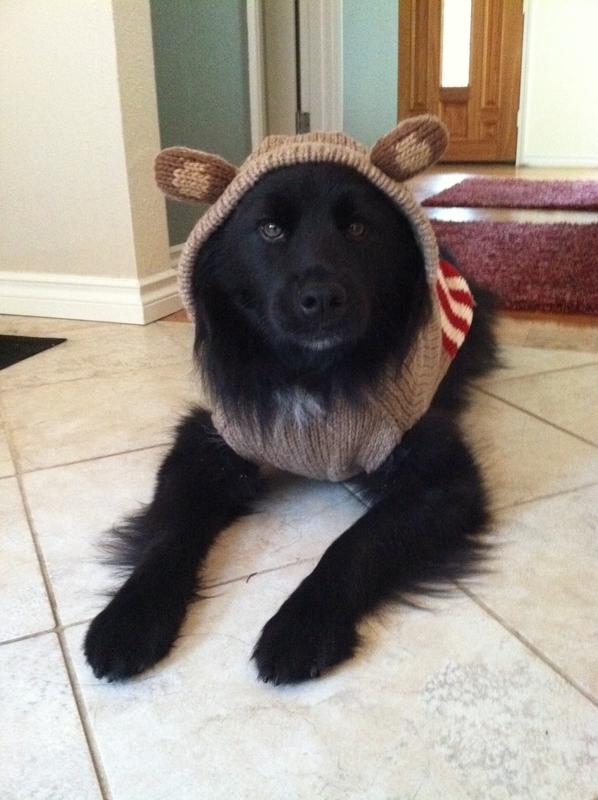 From what I can tell The Little Blogger doesn’t mind wearing this sweater or its monkey-eared hood. I’ll post a full review of Chilly Dog’s Sock Monkey Sweater as soon as we get the bigger size in the mail. Until then, Happy Thanksgiving! We’re looking forward to a few days off and hope to spend some time up in the mountains (snow!). Posted on November 22, 2011 November 22, 2011 by Shannon	This entry was posted in Closet. Bookmark the permalink.